The next-generation DVD format war rumbles no more. HD DVD has been axed thanks to Toshiba's announcement today. So we've pulled together our top 10 Blu-ray products on the market, from players to disc drives and software. And we say how each scores points for, or against, Blu-ray in the format war. Click on the product name to read the full review. 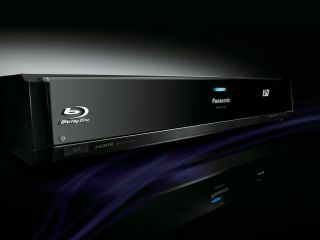 This is an updated version of Panasonic's debut Blu-ray offering and shows just how far Blu-ray players have come in a short time. Superb high-def picture and audio lead the way, and help to make this the best standalone player around at present. Blu-ray verdict: The best the format has to offer right now, but HD DVD still undercuts it on price. And no Ethernet port here either. LG acts as peacemaker with the BH100 - the first dual player on the market. Sounds like a perfect solution, but the idea is far better in theory than in practice. In the end, you'd be better buying two separate players than this inconsistent offering. Blu-ray verdict: Doesn't do any favours for either format, and also gives BD Live the cold shoulder. A Blu-ray optical reader/writer drive for the PC. Well, almost. It's pretty slow, very expensive and doesn't work with dual-layer discs. Pioneer is living up to its name here, but we'd advise waiting a while before taking the plunge. Blu-ray verdict: An Xbox 360 plus HD DVD drive costs less. Need we say more?